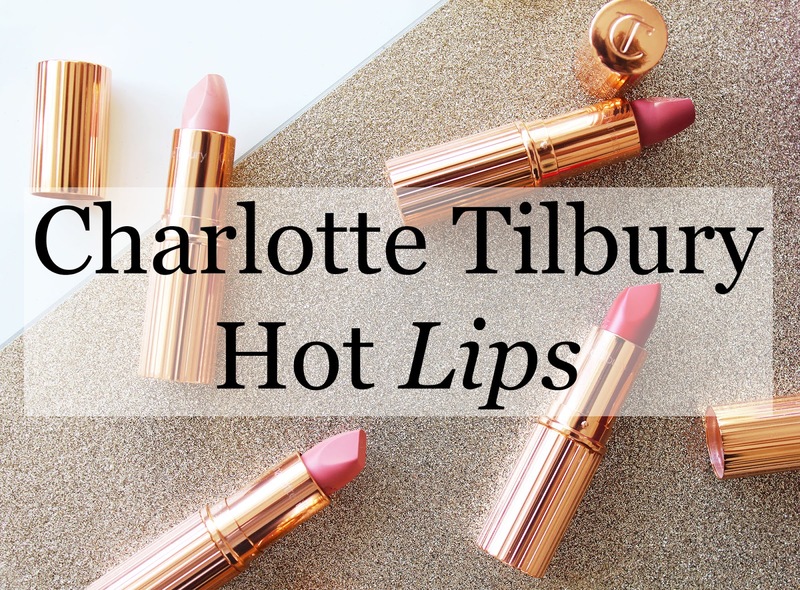 So recently it was my birthday, and what I put my birthday money towards - as well as some wages I've been saving - was the Charlotte Tilbury Hot Lips Wardrobe. Yep - all 12 of the lipsticks in Charlotte's Hot Lips range. 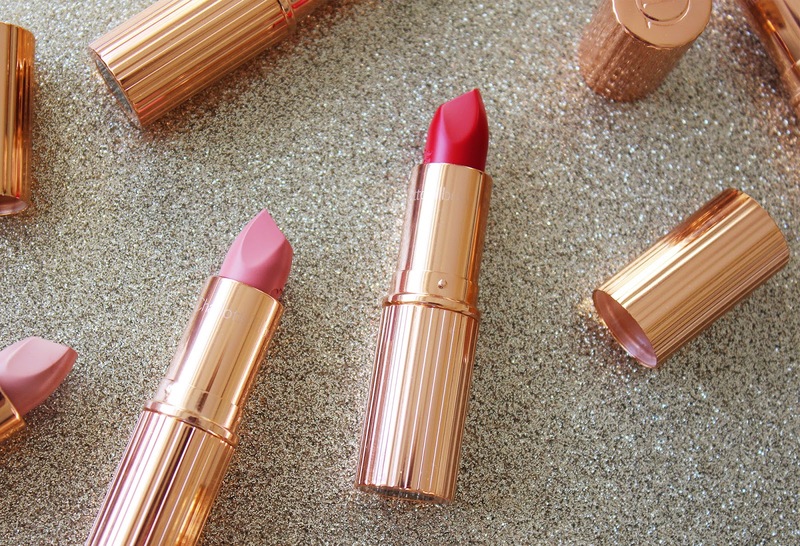 The lipsticks were made in collaboration with twelve "incredible, brilliant, hypnotising women", the most influential women of our generation. And it was for Women for Women International charity. Charlotte describes it as the "ultimate indulgent treat", and she's not wrong. At £250 for the set, it's definitely an indulgence. It's okay though, it was my birthday, which totally justifies spending that amount of money on lipstick. With the spend of £250, I got free express next day shipping. I woke up the next morning and it had arrived before I'd even woken up! As always, the packaging is absolutely stunning: beautifully wrapped, sophisticated, chic. Charlotte Tilbury in a parcel, basically. 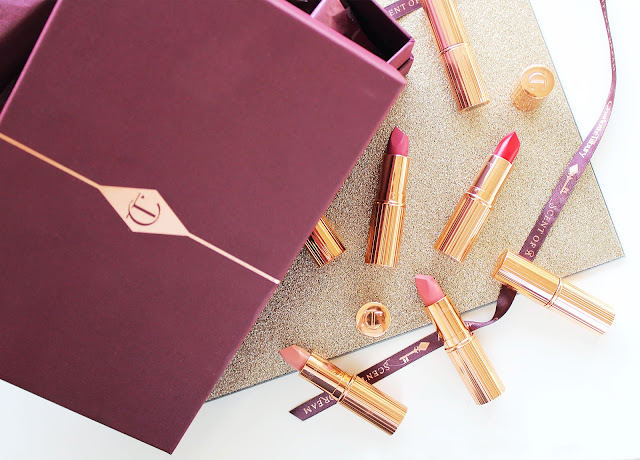 The burgundy box is adorned with gold CT emblems and ribbons, and then filled with the "rose gold celebrity kisses". Unwrapped it is a real treat in itself. Can we just take a minute to admire the packaging? The rose gold bullet is beyond gorgeous. It's so pretty on my vanity! The shades are absolutely stunning. I can't get enough of them. There's a couple of reds; one classic, one punchy and bright. 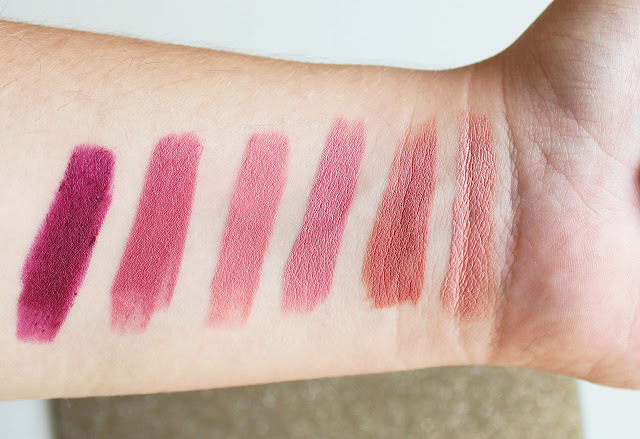 A handful of nudes, pinks, and even a smouldering deep purple shade. This set literally covers every single occasion. The formula is pretty amazing too, with "a perfect blend of oils, triglycerides and waxes", which mean the lipstick glides on super easily. It's so creamy with a velvety finish! Some of them a little more satin, others more on the matte side. But the smoothness and buttery texture is consistent throughout. They're really long lasting too! I wore Hel's Bells out to the theatre - I ate (too many) snacks, drank a glass of wine, a bottle of water - it didn't budge or flake at all! It stayed matte, it stayed put, it stayed perfect. How impressive! Especially for such a dark colour. 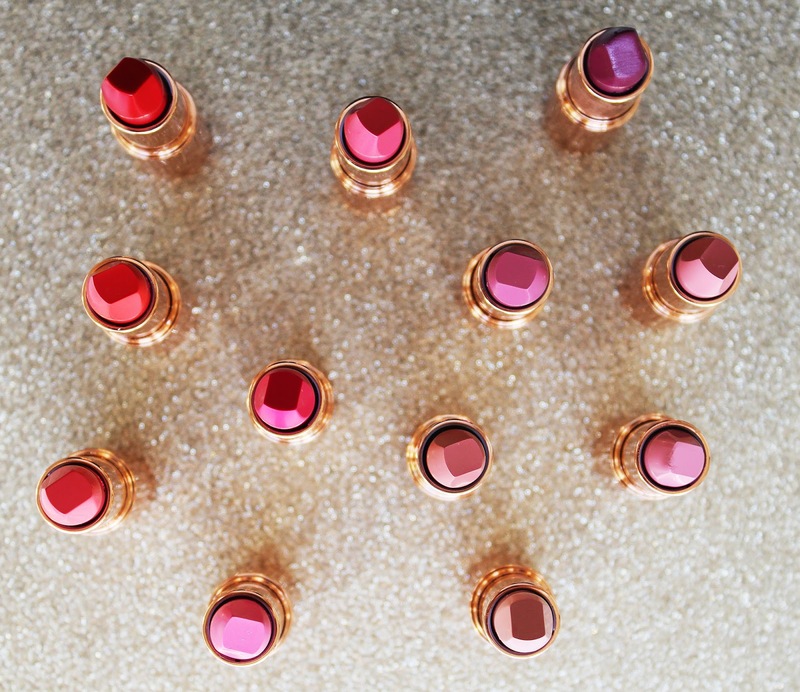 Something I've always love about CT lipsticks is the shape! 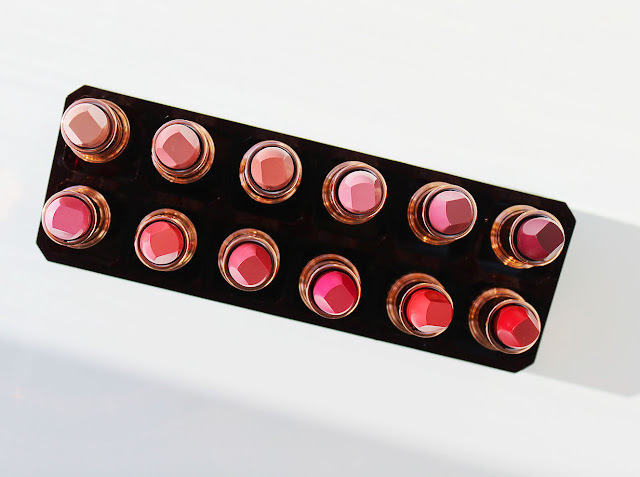 The squared, pointed tip makes applying the lipstick precisely - especially into the corners of the lips - incredibly easy. I've never come across a lipstick with a squared tip like this. 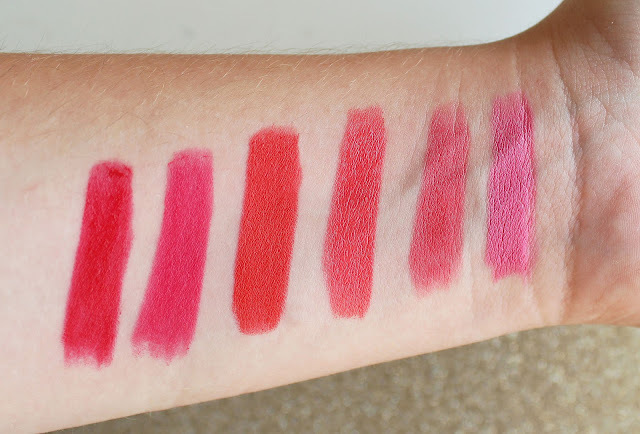 According to Charlotte's website, the shape is supposed to emulate a lip brush. I am in love with this set. Some people might call me crazy, but in my opinion, it is 100% worth the price. It's absolutely a collectors item, and, like I've said, is beautiful sat on my vanity. I highly recommend treating yourself to this at some point, or putting it on the top of your Christmas list, it's so worth it. Also, it's definitely a sorry-not-sorry moment for overload of pictures of lipsticks! Charlotte Tilbury makes some photogenic lippies for sure. Thanks so much for reading! I need to try some charlotte tilbury lipsticks! they look beautiful and have such beautiful shades! Great post Hun! I'm so jealous of this - what an amazing collection! I love all of the shades and the detail carved into the lipstick. These look gorgeous but a little out of my price range! 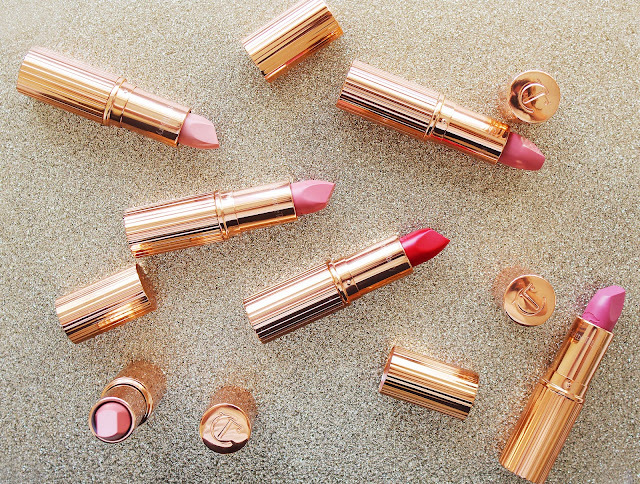 Gorgeous lipsticks ,would never be able to afford these . Wow!! I can totally see why you spent £250 on these little beauties!! I love the hell's bells lippie! 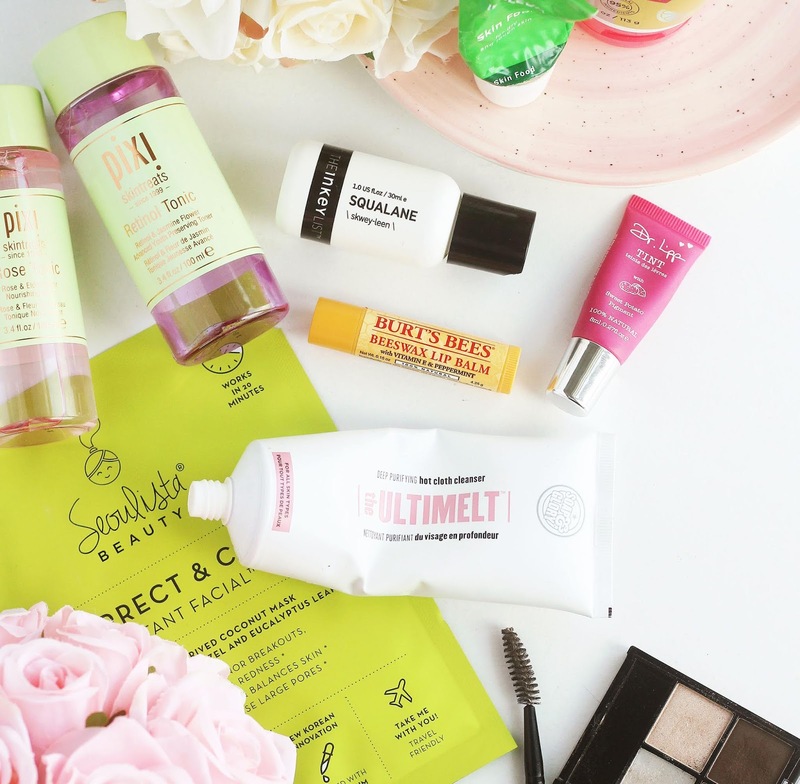 I own Secret Salma (which I absolutely love), now you've got me wanting to try all of these colours! Hehe. I love live it up it's so great! Ohhh the colours look beautiful! 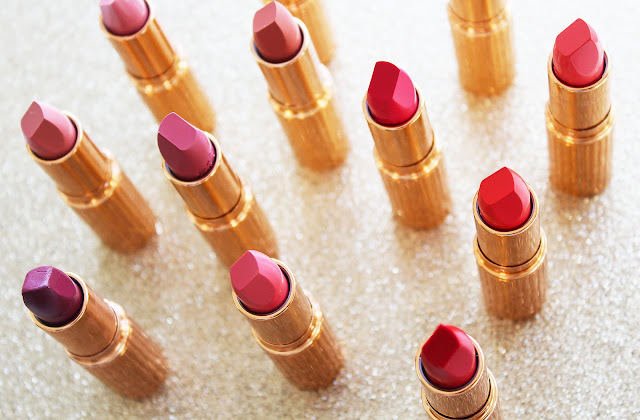 Love the different shape of the lipstick too.